Have you ever heard someone say they know it is going to rain because their arthritic knees are acting up? Believe me, it's not just Grandma, I've even experienced it myself. While your joints may not hold the answer for the weekly weather forecast, there are some theories to explain how the weather can actually affect your joints and muscles. In people with arthritis, joint pain, muscle pain, headaches and even those who don’t normally suffer, humidity is said to affect the body, often causing pain. Humidity often rises before, during and after it rains, as well as when it is hot outside. This means that grandma’s knees might not be fibbing after all. During levels of high humidity, barometric pressure is often low. So what is barometric pressure you ask? Barometric pressure, or atmospheric pressure, is known as “the weight of the air”. A rise in barometric pressure usually means good weather, while a decrease usually means bad weather. Decreases in barometric pressure, especially those that come quickly, such as a rainstorm or a heat wave, often affect the body in people who are more sensitive or who have pre-existing conditions. The variation in pressure causes changes in the fluids in your body, which can also cause inflammation or sensitivity to the joints, especially those with arthritis. It may be easy to forget to drink as much water as you know you should be drinking, but when you are in pain and it is hot outside, it is more important than ever to make sure you are hydrating your body. The joints in your body are able to move more fluidly when your body is properly hydrated, but if you are not drinking enough water you may experience worsened joint pain and even muscle cramps. On top of the pain, those who do not drink enough water are often more prone to fatigue – meaning you won’t be motivated to push physical activity or exercise which lack of can in itself, lead to joint and muscle pain. As far as the weather goes, we don’t have much of a say in the forecast, but making sure you keep yourself hydrated and healthy is something you can control. 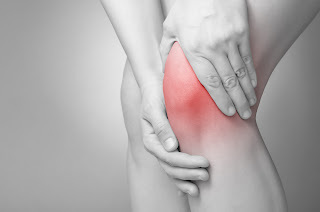 If you have a condition such as Arthritis, it can also be beneficial to look into Physical Therapy and/or Interventional Pain Management techniques to help strengthen your body and prevent a flare up. The same advice is recommended for athletes who are prone to sports injuries and people who have a high level of daily activity. At New York Pain Care, the Top Pain Management Doctors and Physical Therapists in NYC can help treat a flare up, or help you to avoid one. Request an appointment now on ZocDoc or call us at 212-604-1300. Arthritis can cause pain and stiffness in any joint in the body and is common in the small joints of the foot and ankle. Arthritis symptoms include pain, joint inflammation, and swelling. If there is anyone who is looking for the podiatrist for Foot and Ankle Surgery then visit Medical Center in West Houston. Visit here: https://www.crunchbase.com/person/hope-jacoby.